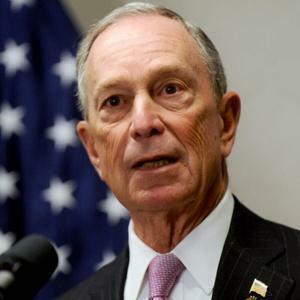 Our mayor being true to himself, Michael R. Bloomberg journeyed to Albany last week to lecture state legislators on his decision to blow up negotiations with our teachers union and so lose $240 million for New York City schools. In his telling, his was a courageous act of self-destruction. If only school officials throughout the state were as principled as he, he suggested, they would admit that teachers unions are fundamentally incapable of agreeing to measure their members honestly. And they too would blow up their negotiations and forfeit many hundreds of millions of dollars in state aid. “Everybody is just interested in getting money and committing what I would call a fraud,” he told legislators. In the mayor’s telling, the union — which in truth has crafty and tough negotiators — tossed down one barrier after another, much as a movie villain tosses darts in the path of pursuing police cars. He has drawn huzzahs from the editorial pages of The Daily News and The New York Post, where the perceived duplicity of the teachers union passes for religious conviction. In particular, the mayor insisted that a deal on an evaluation system must extend for perpetuity. The teachers union, he says, pushed a two-year agreement, in hopes of sabotaging reform. This narrative, however, falls on harder times as you cast around. John B. King Jr., state education commissioner, who was once a middle school principal and perhaps as a result seems preternaturally calm in dealing with the feuding parties, said that city negotiators had signaled that they had intended to sign off on a short-term plan. Dr. King also gave city officials a failing grade in homework. They had failed to properly train principals and teachers in the event that a new evaluation system was put in place. There is also the matter of handshakes. Michael Mulgrew, the union president, has described shaking on a deal with education officials at an early morning hour. Ernest Logan, president of the Council of School Supervisors and Administrators, has described a similar scene in his negotiation. A little later, in these accounts, Dennis M. Walcott, schools chancellor, called back and said: The boss, which is to say the mayor, says no deal. Mediation, too, was tried. One of the more experienced mediators in New York talked with the union, and the city’s lawyers and labor commissioner. This mediator, those on both sides say, saw a proposed path to a settlement, in which teachers rated unsatisfactory could be let go under the expired agreement. The day of the mediation, Bloomberg officials canceled. The mayor likes to note he gave teachers a generous contract in 2005. He neglects to note that the same union generously declined to endorse his mayoral opponent that year. And his bedside manner is lacking. If you want to persuade tenured, unionized teachers to accept a rigorous new evaluation system, you might frame those efforts in terms of helping teachers to improve. The mayor prefers to oil his guillotine. No doubt it is, although city schools might get the resulting headache. Leslie CANTY, Jr., Plaintiff,v.The BOARD OF EDUCATION, CITY OF NEW YORK, Defendant. Leslie Canty, Jr., pro se. J. Lee Rankin, Corp. Counsel, New York City, for defendant; Charles D. Maurer, Asst. Corp. Counsel, of counsel. Plaintiff moves for a preliminary injunction under Rule 65, Fed.R.Civ.P., which would direct defendant, the Board of Education of the City of New York, to reinstate him as a teacher in Junior High School 136 and to pay him the entire amount of his salary that has not been paid since his dismissal on October 10, 1969. This action is erroneously brought under the Civil Rights Act of 1968, Title I, Section 2B, a statute concerned with fair housing, riots and civil obedience. In substance, however, the complaint charges a denial of the constitutional right to due process and presumably seeks money damages and a permanent injunction directing defendant to reinstate plaintiff. The action is, therefore, cognizable under 42 U.S.C. § 1983 and jurisdiction is based on 28 U. S.C. § 1343. The party seeking the motion for a preliminary injunction has the burden of establishing a likelihood of success on the merits, that is, of raising "questions going to the merits so serious, substantial, difficult and doubtful, as to make them a fair ground for litigation and thus for more deliberate investigation. "2 The latter three criteria are satisfied if the moving party can demonstrate that the harm inflicted by denying the injunction is immediate and irreparable and outweighs the harm that will be caused by denying the injunction. We turn, now, to consider if plaintiff has made a sufficient showing of a likelihood of ultimate success. and hence violated his right to due process. Thus, in order for plaintiff to establish a likelihood of success on the merits, he must be able to demonstrate to the extent, at least, of a reasonable probability that the decision to dismiss him was without evidentiary support. The affidavits and exhibits presented by defendant, however, indicate that there was substantial, if not overwhelming, evidentiary support for the Board's dismissal. Plaintiff was a substitute teacher from early September 1969 to October 10, 1969 at Junior High School 136 in Manhattan. He was dismissed on October 10, 1969, and the school principal, in a letter sent to plaintiff dated October 14, 1969, explained the reasons for the dismissal. According to the principal, there were complaints from parents protesting plaintiff's holding children in class after hours and claiming that he physically abused one particular young girl. The principal, himself, on complaints from certain of plaintiff's pupils, attempted to observe plaintiff's class-room conduct on September 17, 1969. Plaintiff was not, however, in the class and was instead found sleeping in the teachers' room. Plaintiff was also absent on October 6 and 7, 1969 without giving any prior notice or subsequent explanation. The crucial event occurred on October 10, 1969 when some of plaintiff's pupils brought to the principal's office a young girl in tears, the same one who previously complained of being physically abused by plaintiff. The young girl now claimed that plaintiff pushed her and consequently injured her. The other youngsters corroborated her claim. The principal then went to plaintiff's classroom, which he found to be in total disorder, and relieved plaintiff of his duties. Plaintiff, after being informed of the specific reasons for his dismissal, initiated grievance proceedings pursuant to the applicable collective bargaining agreement. At the hearing, held on November 7, 1969, plaintiff claimed that he should not have been immediately dismissed because the situation was not an emergency. The principal, in response to a question by a teacher representing plaintiff at the hearing, stated that he considered the situation an emergency because of the complaints of physical abuse and the disorder he personally observed in plaintiff's classroom. The young girl who charged plaintiff with physical abuse testified and the statements of the two pupils who accompanied her to the principal's office were read. The principal, on November 10, 1969, mailed plaintiff a memorandum in which he summarized the evidence presented at the hearing and decided that the claim of "no emergency" was unjustified. The principal also notified plaintiff that he now had a right to appeal to the local Deputy Superintendent. evidence as to plaintiff's "difficulty in maintaining class control." He did not, however, completely agree that an emergency existed and therefore awarded plaintiff ten days' additional salary. The record is unclear as to whether or not plaintiff presently has a right to appeal to the Superintendent of Schools, but for the purpose of this motion, we will assume that he does not and that he has, therefore, exhausted all available administrative remedies. Considering the foregoing reasons defendant presents and particularizes for dismissing plaintiff, it is highly unlikely that plaintiff can prove that his dismissal was so irrational and so lacking in evidentiary support as to be arbitrary and capricious. Plaintiff's rambling and at times rather unintelligible statement, and a fellow teacher's equally confusing letter submitted in support of the motion do not offer a sufficient basis for finding that it is reasonably probable that plaintiff can establish that his dismissal violated constitutionally guaranteed due process. Since plaintiff has failed to meet his burden of establishing a likelihood of success on the merits,4 his motion for a preliminary injunction is properly denied without having to balance the harm inflicted on plaintiff by denying the injunction against the harm inflicted on defendant and on the public by granting the motion. Were we to weigh the potential harm to both sides, however, it is far from clear that the scale would tip in plaintiff's favor. Plaintiff claims a denial of federal constitutional rights and this has often been held to establish automatically immediate and irreparable harm.5 This is offset, however, by the potential harm to defendant and to plaintiff's pupils if we were to reinstate plaintiff pending the outcome of this action. The equitable balance leans even further in defendant's favor when we consider that plaintiff is seeking mandatory relief on this motion, almost identical with the ultimate relief he would obtain if he were to prove his case on the merits, namely, reinstatement and back pay. Finally, plaintiff, if he does eventually succeed in establishing his claim will be reinstated and obtain money damages reflecting his entire loss of earnings, and thus is not irreparably injured, at least in a professional and financial sense, by denial of this motion. The foregoing constitutes the court's findings of fact and conclusions of law, as required by Rule 52(a), Fed.R.Civ.P. Accordingly, plaintiff's motion for a preliminary injunction is denied. 1. See Unicon Management Corp. v. Koppers Company, 366 F.2d 199, 204-205 (2d Cir. 1966); Hosey v. Club Van Cortlandt, 299 F.Supp. 501, 503 (S.D.N.Y. 1969). 2. Unicon Management Corp. v. Koppers Company, supra; Hamilton Watch Co. v. Benrus Watch Co., 206 F.2d 738, 740 (2d Cir. 1953). 3. O'Boyle v. Coe, 155 F.Supp. 581, 584 (D.C.Dist.1957); East Tex. Motor Freight Lines v. United States, 96 F.Supp. 424, 427 (N.D.Tex.1951); Ford Motor Co. (Delaware) v. United States, 97 Ct.Cl. 370, 47 F.Supp. 259 (1942). 4. Brass v. Hoberman, 295 F.Supp. 358 (S.D.N.Y.1968). 5. Henry v. Greenville Airport Comm'n, 284 F.2d 631 (4th Cir. 1960); Brass v. Hoberman, supra, 295 F.Supp. at 361.